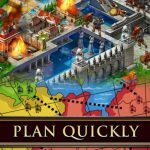 In the first part of our Game of War strategy guide, we told you about some of the things you need to do in order to build the most successful empire you could in this Machine Zone iOS and Android title. But there’s much more to joining active alliances and building multiple barracks and hospitals, which were among the tips we told you about last time. 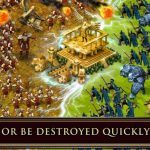 And that’s why we’re bringing you this second and last part of our Game of War – Fire Age strategy guide, which will now deal with more advanced tips. 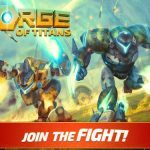 Yes, we’re starting out with one more alliance-related tips and that would be to open your free gifts quickly, as they expire rather quickly. You’ll be getting alliance gifts when someone in your alliance uses real money to make an in-app purchase. The forge will be where you head to if you want to create new, powerful items for your hero to use. Be sure you’ve got enough resources to craft an item before heading to the forge, and we would also advise you to visit the forge often and ensure you earn enough resources via quests, parcels, or purchases. 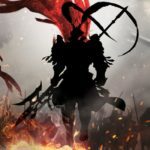 It’s important to have a great alliance and a powerful hero, but that won’t matter if your warehouse – one of the most basic structures in Game of War – isn’t leveled up as far as possible. A bigger warehouse allows you to hide more resources, and prevent enemies from farming on your grounds. One of the more frequently suggested ways to defend your troops is to have them take up an unoccupied area. Enemies are likely not to attack troops occupying a spot that doesn’t have resources. But this can be dangerous if they do attack, as you won’t have any hospitals to send your troops to should they get hurt. Research would be what you need to do if you want a more diverse set of weapons and items, so make sure you begin researching as early as possible by heading to the Academy. Troop attack should be the first skill in your hero’s skill tree for upgrade. After that, focus on Research, then Food Production, then troop training. Lastly, work on all other attack skills. As there are various ways to earn resources and your hero should be focused on fighting off foes, we advise you not to pay much attention to the production boosts. In other words, we suggest not going for what seems to be obvious; just because a quest is high-level, it doesn’t automatically guarantee better rewards. Instead, it may be better for you to try a lower-level quest if you are assured of earning resources and materials somehow.